As a child, Marlene McGuirt didn’t envision she’d one day be a Solo Mom (to twins Madison and Maxwell, now college freshmen), but as we know, life makes its own plans. McGuirt, one-third of a set of triplets from a large Chicago family, got her BA in marketing from the University of Illinois and has had a successful career helming program and resource development for nonprofit organizations for more than 20 years. Today she is the director of development for the prominent cancer support center weSPARK. ESME’s Kathleen Laccinole spoke with McGuirt to find out more about weSPARK and McGuirt’s path toward leading this wonderful organization. Q: Tell us about weSPARK. A: weSPARK’s core vision is to enhance the quality of life for all those affected by a cancer diagnosis. It achieves this vision via its Navigating Health through Wellness model of care. 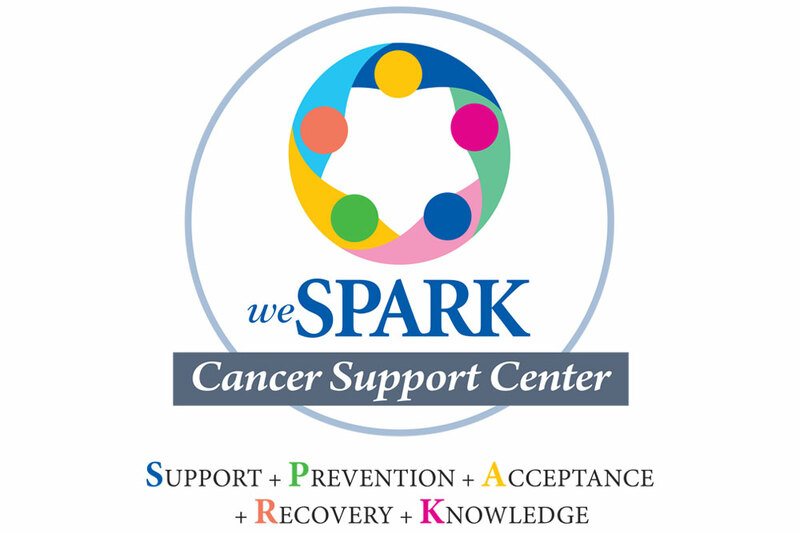 Using this wraparound service model, the weSPARK treatment team works collaboratively to ensure that each guest is offered the benefits of working individually with a social worker, an oncology-nurse navigator, a nutritionist, and a variety of healing providers, as well as working within a group dynamic through its many support groups, integrative healing therapies, workshops, and events. Moreover, weSPARK is a community where an entire family can receive services through weSPARK’s multigenerational programming as well as its tailored support groups. weSPARK offers a haven of camaraderie and support, a resource to unanswered questions and concerns, and a place of healing—all in a homelike atmosphere. weSPARK’s services meet the needs of its guests—from diagnosis through survivorship or end-of-life needs. Q: When and why did you get involved with weSPARK? A: I started working at weSPARK Cancer Support Center as the director of development in 2014 after working with the Alliance for Children’s Rights for many years. My familiarity with weSPARK stems from knowing its executive director, Nancy Allen. We used to get together and talk about fundraising and development. She had just become the executive director after serving as the program director for many years and wanted to learn more about the development aspect of a nonprofit. Nancy was a very good friend of weSPARK’s founder, comedic actress Wendie Jo Sperber. Wendie asked Nancy, whom she had worked with on many films, to help her start this nonprofit. Wendie had been diagnosed with breast cancer and quickly found that although there were support systems in place for her, mostly support groups, there was nothing for her friends and family, especially her young children. Wendie wanted to open a place of healing in a homelike environment. Q: Do you have Solo Moms as clients? A: I really don’t have backstories on all of our guests (we don’t call them patients) because when they are in groups, it is all very confidential. However, we have a kids group (for four- to 12-year-olds) and a teen group for those whose parents have cancer or have passed from cancer. We help the grieving spouses, and I have met many mothers who have become single parents as a result of their husband’s passing. We have had two moms who have become single moms in the past few months. Very devastating. The children in the kids group help one another not feel so different and can relate to one another. The now single moms can benefit from weSPARK’s support through services such as our Spouse Grief Support Group that meets once a week; yoga classes; workshops; and individual healing therapies like reflexology, spiritual counseling, guided imagery, and more. weSPARK is a very supportive environment where they can share their fears, loss, and challenges guided by licensed therapists, practitioners, and instructors. It’s really a magical place where our guests come to feel safe and understood. Q: Did becoming a Solo Mom impact your career? A: When my kids were nine, I started working for the Alliance for Children’s Rights full time. My ex-husband was not living in Los Angeles, so other than his visitations with them, it was just me. At that point, I was financially supporting my family and life became overwhelming; however, my goal was to ensure a good life for my kids. I did that with the support of our community of parents. I am so grateful for them. I also had a wonderful nanny, “my angel,” helping me part time. Q: Have you always had an interest in nonprofit work? A: No. I had an event and meeting planning company in Chicago and wanted to raise awareness about HIV/AIDS [human immunodeficiency virus/acquired immunodeficiency syndrome]. My inspiration was the many friends I had who were affected by this disease. I witnessed their suffering as not only physically challenging but also emotionally challenging. The stigma attached to the disease kept them isolated, even from their families. I saw that some felt “shame.” I felt people needed to be educated about this disease. In 1993 I created an event called Chicago Together Against AIDS at Navy Pier to bring all of Chicago together to educate and familiarize people with the disease. Q: How did you pull it off? A: The one criterion to be included was a connection to Chicago. We had five entertainment stages and entertainers with roots in Chicago. Chicago vendors donated the food: pizza, Chicago beef sandwiches, beer brewed in Chicago. . . . We had a “Poets’ Café.” Even the Navy Pier union workers got involved—paid for by their union. The most important aspect was the area where 15 HIV/AIDS organizations had booths. At the time, I was still running my business. If I’d known what I was getting into I probably never would have taken it on. But once it was over, I found I loved working toward a mission to make a difference in the lives of others. A friend called to see if I knew anyone who would be interested in starting a capital campaign at a nonprofit. I took the position and have been in nonprofit ever since. Q: Did you have mentors who inspired you? A: What inspired me and still inspires me are the wonderful organizations that make a difference in bettering a person, place, or situation, and also the donors I’ve worked with over the years who help sustain nonprofits. I get to see the best in people! Q: Of what are you the most proud about yourself as a Solo Mom? A: When my ex and I divorced, I was heartbroken that my kids were not going to have the “full” family experience with a mom and dad in the same house. [Two and a half years after moving to LA from Chicago, her marriage ended and her Solo Mom journey began. Her twins were four-and-a-half years old at the time.] I tried to make the best of it by including their dad and his new partner in our holidays and special celebrations. My goal was to show my kids they still had parents who loved them and would always be there. We tried to have a “loving” divorce, and I think we did well. I hope my children learned that family is important and to have a friend, you need to be one. Their father and I are still friends. I’m also proud that I didn’t let divorce make me cynical about love! Q: Favorite Solo Mom cheat? A: When my twins were little, I’d purchase similar clothes for them with different colors (mostly pink for Madison and blue for Maxwell). It made it easy in the mornings so I didn’t have to think about two different outfits. I’d choose one style for one twin, and then it was already decided for the other. Thank you, Marlene, for sharing a bit about yourself and the incredible organization weSPARK. To learn more, go to weSPARK.org and watch the video below. Do you know of a wonderful nonprofit that ESME should highlight? Tell us about it in the comments below or email contact.us@esme.com.